We developed a map rendering engine and integrated it into an OEM navigation system developed by Alpine. Our full responsibility was to manage requirements, architecture, design, implementation, and communication with the customer. The engine was based on our previous project for this customer. We added support for customer specific visual guidance in head-up display and other specialized displays. We defined and maintained system libraries for navigation, implemented logging and diagnostic subsystem used by car OEM head unit applications. Key goal, which we successfully achieved, was high robustness of logging during high head unit load and for non-reliable logging channels. We implemented also tools which helped to speed up bugfixing process for performance and stability issues of the whole navigation system, e.g. callstack reporting on exceptions, threads deadlock detector, system load and memory usage logging in time, etc. And finally, we designed a log replay mechanism which allowed reproduction of critical stability problems from logs. 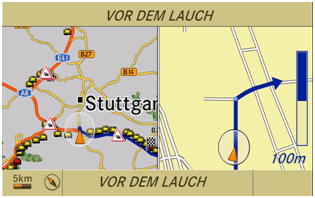 We developed from scratch a new map module and integrated it into a car navigation system developed by Alpine for Daimler cars. Team was fully responsible for managing requirements, defining architecture, design, implementation, and communication with the customer. We developed flexible solution which was easy to customize for further projects and guaranteed high performance during advanced animations using perspective transformations. Several generic solutions developed by our map team (command processing, shared memory management, synchronization, lock-free broadcaster, etc.) were reused in the whole navigation system. Our consultant helped a Tier 1 navigation system supplier with performance analysis and optimization of his map rendering engine for most critical usecases such as system startup, map zooming, scrolling and map display during route recalculation. Our SW engineers are tightly integrated into customer navigation software development teams in following functional domains: address input, map rendering, TMC, DB compilation and speech user interface. We provide know-how and software development services both onsite and offsite from Prague. We are responsible for configuration management of SQLite and related SW modules for NDS consortium. We developed integration tests for SQLite JDBC driver and SQLite native libraries. We designed and developed a framework for performance evaluation of NDS data format on a reference target platform. We implemented performance tests for address and POI search. We work on extensions and optimizations of compiler of Data Description Language used for map Navigation Data Standard (NDS) format. We developed hand tracking solution for a specific embedded HW. Outdoor real world illumination and performance were the main challenges. We adjusted Linux drivers for proprietary FPGA interface and RS485. Our responsibility was to design and implement a reliable software update for car head unit from SD card and DVD within a bootloader component. The second task was to design and develop service layer for a new GPS chip as a part of complete navigation system. The goal of the project was to develop audio client application which received and played RTP audio stream. We implemented also the testing RTP audio server. 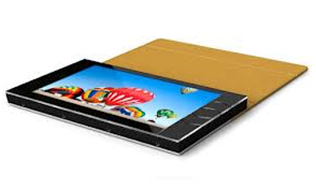 Our customer was introducing new version of its portable photo viewer product Album2. Our responsibility was to deliver the complete firmware solution including components communicating with the drivers, open-source libraries and the HMI application. 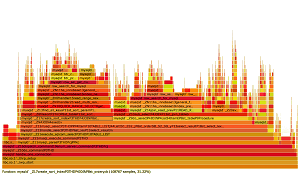 We also adapted Linux kernel drivers for display, audio and other devices. 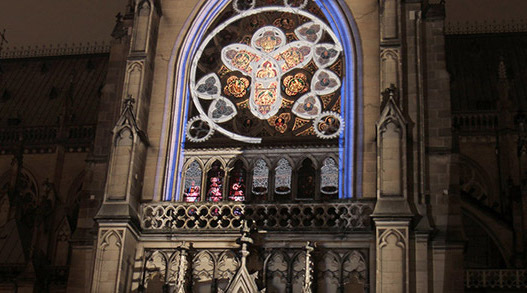 Archifon III - Linz, Austria was audiovisual and architectural installation by Tomáš Dvořák (Floex) and Dan Gregor (Initi), turns Mariendom’s windows and walls into a virtual musical instrument. It can be played with laser pointers, which activate acoustic and optical elements mounted at various stops on the façade. We implemented part of the interactive visual installation and improved laser tracking software for outdoor conditions.